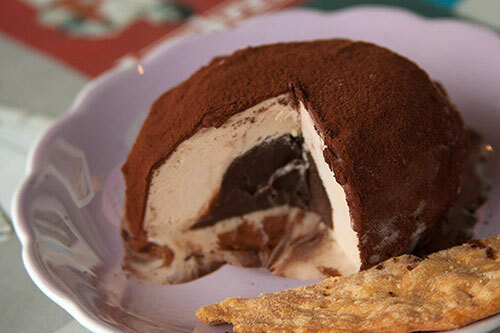 Semifreddo – which in Italian means “half cold”- is a specialty frozen dessert not exactly like gelato or sorbet. 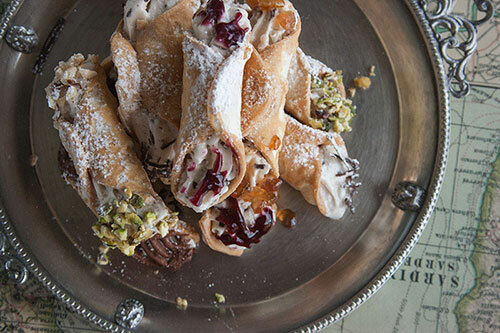 It has it’s origins in the Friuli-Venezia Giulia region, where it is used in the celebration of the New Year. 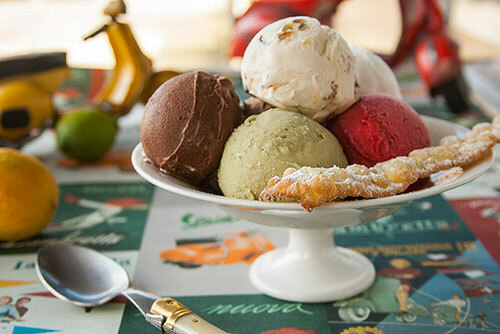 The main difference between semifreddo and other frozen dairy desserts is the quality and the quantity of the ingredients, the smooth and delicate texture, and the fact that it is not quite as cold as ice cream thus explaining it’s nomenclature. Gioco semifreddo consists of a foundation formed of a cream base which is infused with select flavours and ingredients, and zabaglione. 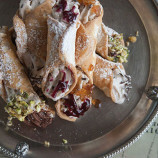 An Italian meringue is then folded through this mixture to form the basis of a great semifreddo. It is at this point that we fuse this traditional mixture with our handmade confections to produce an innovative combination of flavours. 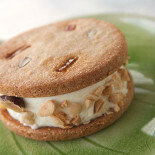 Brittle almond praline strewn throughout an almond liqueur cream. Light caramel parfait with honeycomb scatters. Hazelnut cream with highlights of chocolate and hazelnut ripple. 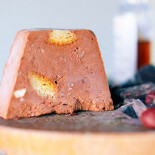 Hand made brioche drenched in a spiced rum syrup and submerged into a dark chocolate semifreddo. An aromatic coffee presence complemented with oven roasted almond biscuits. 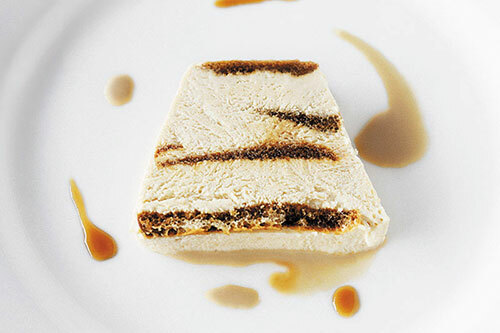 Sponge cake doused in Alkermes liqueur and centred around roasted almond and vanilla bean semifreddo. A refined balance of lemon liqueur, whisper of puff pastry and a hint of lemon preserve. A mixture of blueberries, blackberries and raspberries blended through vanilla zabaglione. 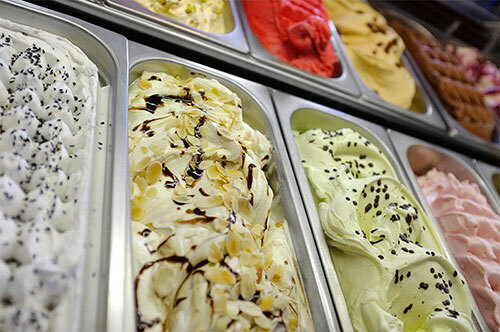 A medley of pistachio, hazelnut and honey with subtle overtones of vanilla and orange. 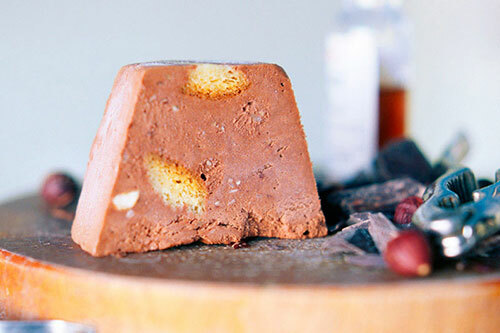 Traditional Christmas leavened bread with raisins and candied orange immersed in hazelnut semifreddo with chocolate pieces. Hazelnut sponge encased in layers of pistachio and hazelnut semifreddo. 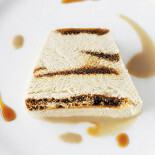 A subtle blend of Marsala wine and coffee semifreddo layered with sponge finger biscuits immersed in coffee liqueur. Dark chocolate parfait speckled with homemade torrone and pistachio. 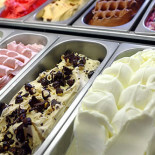 Vanilla and ricotta gelato with cinnamon, candied fruits, chocolate shards and Genovese sponge cake doused in Alkermes. Layers of cherry and chocolate atop chocolate sponge cake, toasted coconut and chocolate ganache. Sheets of vanilla, strawberry and chocolate gelato crowned with torched Italian meringue on a sponge cake base. Raspberry sorbet sandwiched between mascarpone gelato. Almond sponge cake and chocolate ganache coated with chocolate and hazelnut gelato. 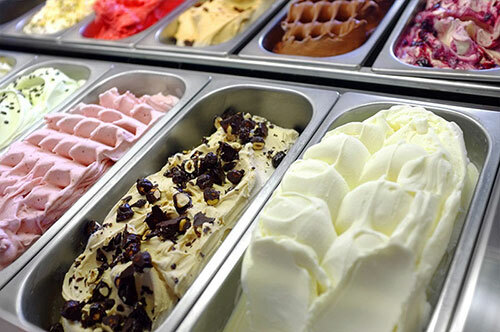 A perfectly matched variety of sorbets intended to capture the essence of each individual fruit. 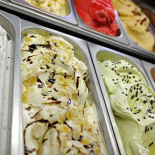 Ying and Yang – Modestly sweetened sheep milk yoghurt paired with fior di latte gelato rippled with passionfruit. 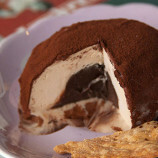 Spiced rum ganache encased in hazelnut gelato and dusted in Dutch cocoa. Spiced ginger snap biscuit and caramel ripple gelato. 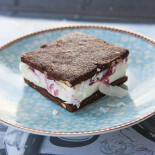 Moist chocolate and nougat biscuit with amarena gelato. 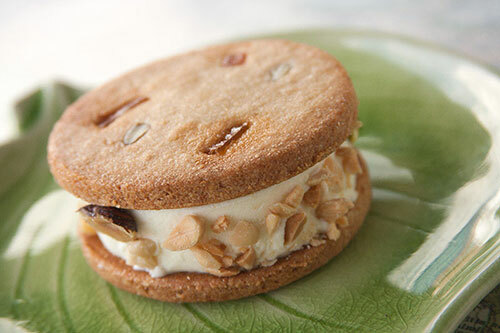 Chewy almond, candied orange and pistachio biscuit boasting a centre of fior di latte and vanilla bean gelato. 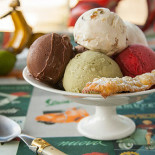 Cannolo dough discs sandwiched between Sicilan cassata alla ricotta gelato. Brittle chocolate and almond meal biscuit with chocolate and hazelnut gelato.